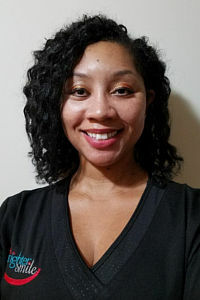 I help patients throughout their visit, bringing them into the clinic area, preparing them for treatment, and providing chairside support to Dr. Thompson. I love my job because I love the dedication and passion that that everyone puts toward their craft and our patients. 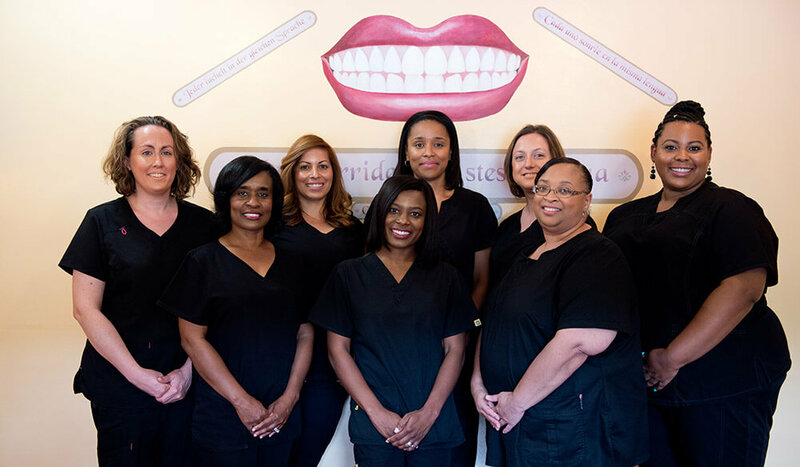 I love working with a team that is dedicated to their work and learning new things in the dental field because when we are all working to the same goal, the results are astounding. I am a blessed woman of God who has given me the privilege of being a mother to Ledanis, Denaed, and Ed Michael, and having an amazing family with my husband Eddie. My Chihuahua Nina is the baby of the family. I am dedicated to my home and work. I am bilingual, Spanish being my native language, and enjoy learning new things daily in my field of work. I love my life as it is! 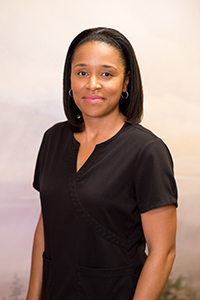 I began my career as a dental assistant from 2001 to 2004, and continued my education to become a dental hygienist in 2006. 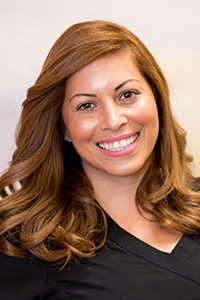 As a new member of the team, I’ve enjoyed getting to know our patients while helping them achieve a healthy smile. 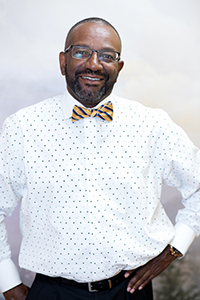 I appreciate the compassion Dr. Thompson shows to both our patients and coworkers, as well as our staff’s helpful and teamwork-oriented attitude. I have been married 12 years and I have a ten-year-old daughter. We also have two boxers and a cat that are very energetic and loving. My husband and I stay busy with my daughter’s dance and enjoy traveling and fishing in our downtime. I am married to my high school sweetheart and we have four beautiful children. In my spare time, I enjoy walking, biking, and playing with my two grandsons. I love helping people gain health and feel better through a healthy, confident smile. I especially like working with people who are worried about dental procedures. By receiving reassurance, education, and gentle care, they learn that a visit here can be a positive experience. It is very rewarding to share in their happiness after treatment has been completed. I am a giving person with an awesome daughter Ashley. I love to read and travel when I am able. I love to cook and feed people, and I enjoy watching basketball—Go Tarheels! Overall, I am a woman of strength, hardworking and grateful to God! I have the pleasure of greeting all our patients with a smile while checking them in and out of their appointments. Working in a family practice allows me to get to know patients of all ages and backgrounds, and I love being a part of helping them achieve great oral health. I also enjoy working closely with the ladies upfront to ensure we provide optimum care to patients before they go to the back. I am a loving wife to my husband Kiewan and a loving mother to my son KJ. I love helping people and making people smile! I joined A Brighter Smile in 2017, bringing with me more than 20 years of experience in dentistry. 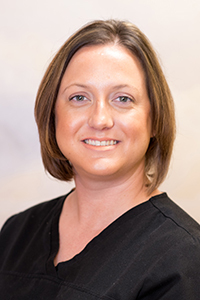 As a dental hygienist, it is my job to examine patients for signs and symptoms of oral disease such as gingivitis and gum disease, and provide ways to help patients achieve and maintain optimal oral health. My job gives me the amazing opportunity to meet people from all backgrounds and get to know them on a personal level. Along with my team, I am dedicated to providing care with compassion. I am a proud mother of two boys and one girl. In my spare time, I love to travel, shop, decorate, and spend time with my loved ones. I am also a huge Carolina Panthers fan! 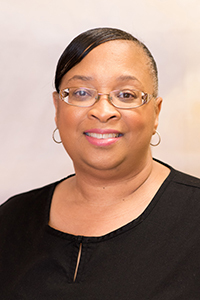 I am retired US Air Force and have a Bachelor’s degree in Business Administration from Benedict College. More importantly, I am Dr. Thompson’s husband! I am here to support her with the overall decision-making process and help all her goals come to fruition. 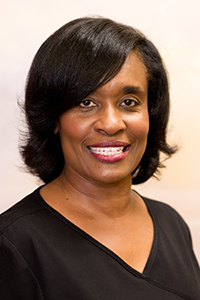 As the spouse of Dr. Thompson, I see the passion she has for the office, her patients, and her employees. I am a huge Dallas Cowboys and UNC tar heels fan. When my wife and I first met, I knew that we would be a perfect fit because she is a huge fan of both teams!